Jessica Xavier is a native Washingtonian. Jessica came out as transgender in 1989 and was part of the support group Transgender Educational Association while making the gender transition process. Through the association, Jessica became a volunteer organizer for the 1993 March on Washington. Soon after, she joined the activist group Out. Her experiences with Out and other direct action groups convinced her of the need for a transgender-specific direct action group. 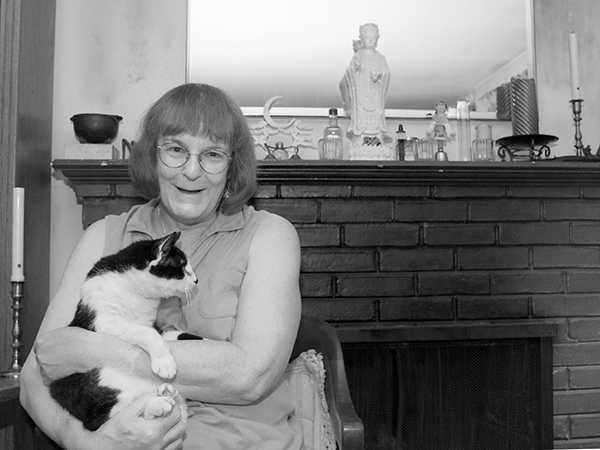 By 1995, she founded the DC chapter of Transgender Nation. She also served with It’s Time, Maryland, a chapter of the national lobbying group working on securing state and local anti-discrimination protections based upon gender identity. For decades, the transgender community in the DC area has been subject to tragic and public acts of violence. Jessica was a leader in a coalition of groups that protestedthe Washington Postcoverage of the 1995 death of Tyra Hunter and that held the DC Fire Department accountable for its misconduct contributing to Hunter’s death. The activism resulted in in the resignation of the city’s fire chief. This experience taught Jessica about the difficult lives of African-American trans women. Too many were living with HIV/AIDS and addictions, or were homeless or unemployed, but had little or no access to support services. Too often no one would speak up against the violence they experienced – including a near-silent gay and lesbian community. In 1997, Jessica approached the District of Columbia’s Administration for HIV and AIDS with a proposal to assess the unmet health and housing needs of the transgender population in DC. The results from the 252 surveys collected in the Washington Transgender Needs Assessment Survey were published in 2000. The conclusion was clear: DC desperately needed a comprehensive and effective transgender health program. The survey was instrumental in increasing the number of health care and social service providers and disease prevention programs in the city. Jessica advocated, often against forceful pressures from within the gay and lesbian community, for the Trans Health Program at Whitman-Walker Clinic, where she eventually worked as the director of volunteer resources. In 2002 and 2003, DC experienced yet another series of tragic acts of violence against trans persons. Again, Jessica worked to hold the police and media accountable for investigating and reporting these crimes.